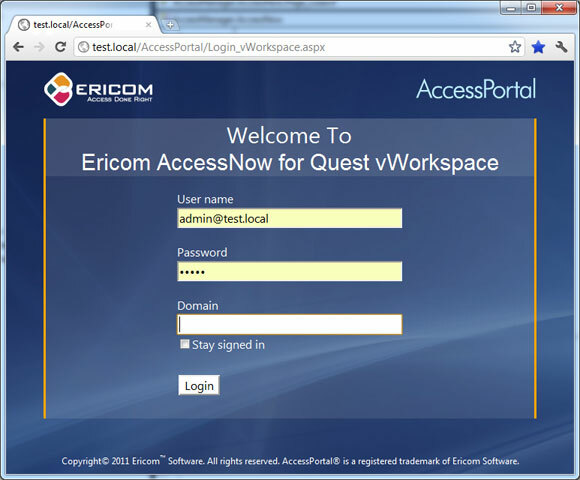 What is AccessNow for Dell vWorkspace? 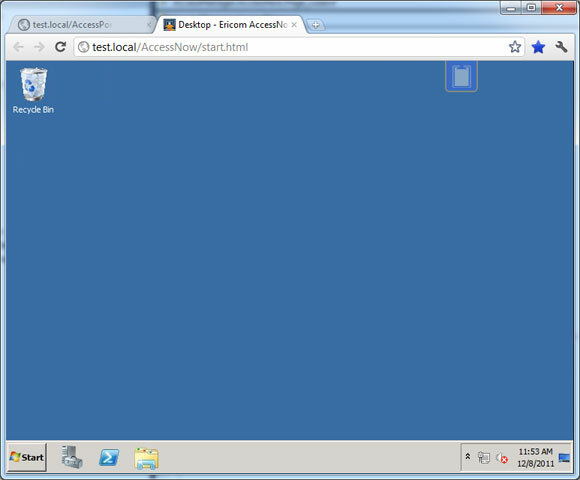 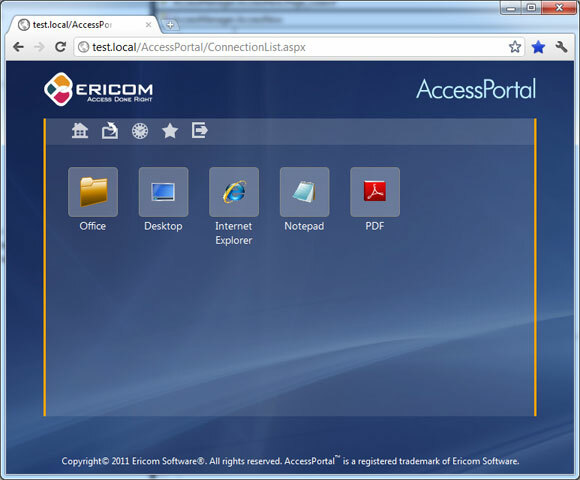 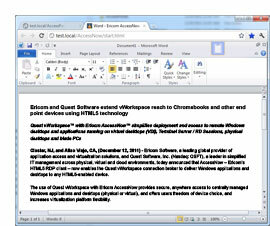 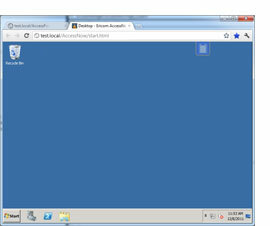 Ericom AccessNow for Dell vWorkspace is a portal and an HTML5 RDP client that enables the Dell vWorkspace connection broker to deliver Windows applications and desktops to any HTML5-enabled device supporting the WebSocket protocol. 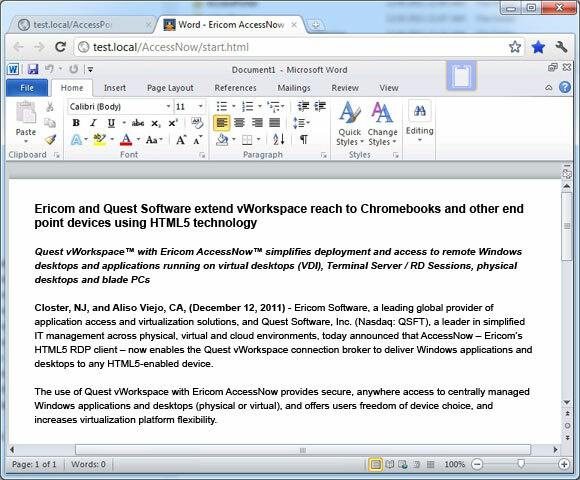 This includes Google Chromebooks, iPad / iPhone, Android, Mac, Linux, RIM Playbook and BlackBerry, locked-down Workstations, and any other OS that supports an HTML5 compatible browser for accessing virtual and session-based desktops and applications published through Dell vWorkspace. 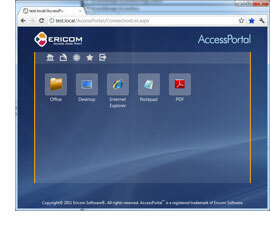 This gives users the flexibility and mobility to access Windows desktops and applications from anywhere, lowering user device support load and enabling BYOD adoption. 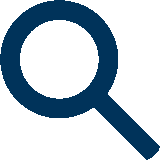 1 Version 1.0 is optimized for Chromebooks and Chrome browser and has known issues for other browsers which will be fixed in the following version. 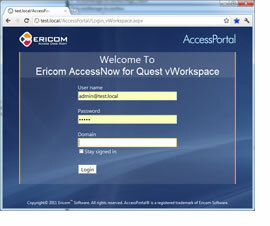 What is AccessNow for Dell vWorspace?